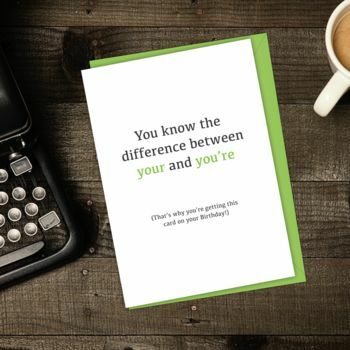 A perfect birthday card for a member of the "Grammar Police" !! We don't know about anyone else, but people who use the wrong YOUR and YOU'RE drive us INSANE. If you share a love for good grammar with someone then this is the perfect card for them. It could be for your wife, husband, partner, work colleague or anyone who has good grammar! 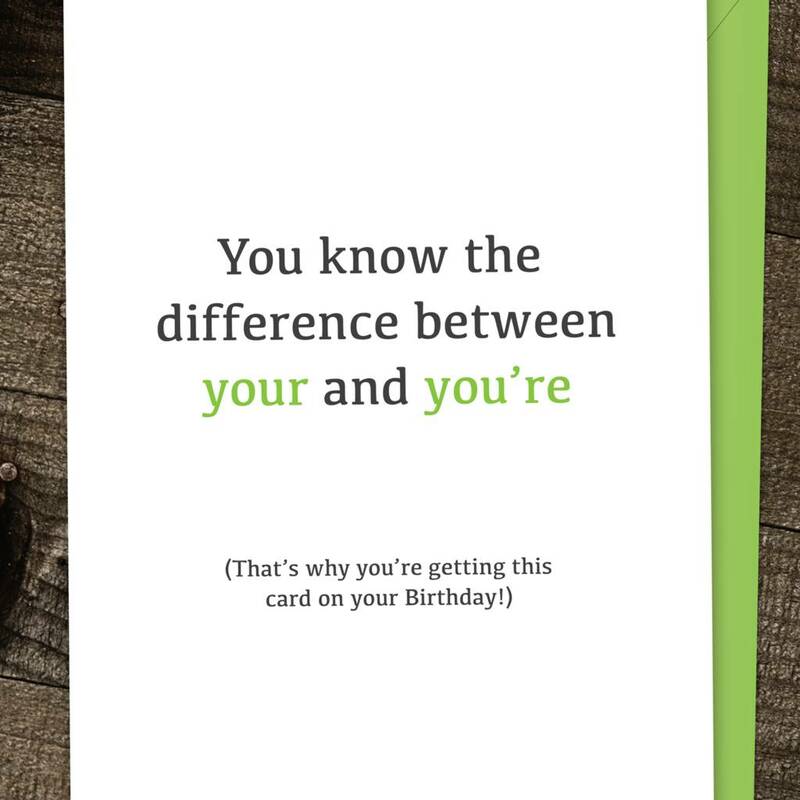 The card reads "You know the difference between Your and You're. That's why you're getting this card on your birthday".